PBL 1000 WATT REPLACEMENT LAMP FOR THE QL/VL 1000 LIGHT. 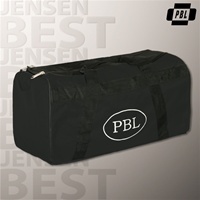 Product Code: 1134 Equipment bag with padded inserts. Product Code: 9114 PBL 8 INCH REFLECTOR FOR VL1000, SL100, SL200, SL300 LIGHT FIXTURE. PBL 1000 WATT REPLACEMENT BULB FOR PHOTOBRIGHT QL 1000 SET OF TWO. Product Code: 11341 PBL 24"x24" GRID SOFTBOX FOR MX6-CF.